ISBN 9780769219790. A sound approach to learning the piano, with emphasis on reading music through interval and note recognition, clapping, singing and counting aloud for proper rhythmical performance, and on sight reading and ear training. Includes full-color illustrations. By David Carr Glover and Jay Stewart. For Piano. Piano method/supplement. Level: Early Elementary, Level 2. Book. 60 pages. Published by Alfred Publishing. By David Carr Glover and Jay Stewart. For Piano. Piano - Glover Method. Book. 32 pages. Published by Alfred Publishing. By David Carr Glover, Jay Stewart. Edited by Gail Lew. 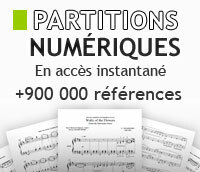 Piano method/supplement (electric piano). Level: elementary, level 1. 58 pages. Published by Belwin. By David Carr Glover and Jay Stewart. For Piano. Piano method/supplement. Level: Early Elementary, Level 3. Book. 60 pages. Published by Alfred Publishing. By David Carr Glover and Jay Stewart. For Piano. Piano method/supplement. Level: Early Elementary, Level 4. Book. 60 pages. Published by Alfred Publishing. By Martha Mier and June C. Montgomery. David Carr Glover. For Piano. Piano - Glover Method. Book. 52 pages. Published by Alfred Publishing. By Martha Mier and June C. Montgomery. David Carr Glover. For Piano. Piano method/supplement. Level: Early Elementary, Primer Level. Book. 28 pages. Published by Alfred Publishing. By Martha Mier and June C. Montgomery. David Carr Glover. For Piano. Piano method/supplement. Level: Early Elementary, Level 3. Book. 48 pages. Published by Alfred Publishing. By Martha Mier and June C. Montgomery. David Carr Glover. For Piano. Piano method/supplement. Level: Early Elementary, Level 1. Book. 52 pages. Published by Alfred Publishing. By Martha Mier and June C. Montgomery. David Carr Glover. For Piano. Piano method/supplement. Level: Early Elementary, Level 4. Book. 48 pages. Published by Alfred Publishing. By Martha Mier and June C. Montgomery. David Carr Glover. For Piano. Piano method/supplement. Level: Early Elementary, Primer Level. Book. 48 pages. Published by Alfred Publishing. By E. L. Lancaster and Gayle Kowalchyk. David Carr Glover. For Piano. Piano method/supplement. Book. 56 pages. Published by Alfred Publishing. By E. L. Lancaster and Gayle Kowalchyk. David Carr Glover. For Piano. Piano method/supplement. Level: Early Elementary, Primer Level. Book. 48 pages. Published by Alfred Publishing. By E. L. Lancaster and Gayle Kowalchyk. David Carr Glover. For Piano. Piano method/supplement. Level: Early Elementary, Level 1. Book. 52 pages. Published by Alfred Publishing. By David Carr Glover and Jay Stewart. For Piano. Piano method/supplement. Level: Early Elementary, Level 1. Book. 36 pages. Published by Alfred Publishing. By David Carr Glover and Jay Stewart. For Piano. Piano method/supplement. Level: Early Elementary, Primer Level. Book. 36 pages. Published by Alfred Publishing. By David Carr Glover and Jay Stewart. For Piano. Piano method/supplement. Level: Early Elementary, Level 2. Book. 36 pages. Published by Alfred Publishing. By David Carr Glover and Jay Stewart. For Piano. Piano method/supplement. Level: Early Elementary, Level 3. Book. 36 pages. Published by Alfred Publishing. By David Carr Glover and Jay Stewart. For Piano. Piano method/supplement. Level: Early Elementary, Level 4. Book. 36 pages. Published by Alfred Publishing. By David Carr Glover and Jay Stewart. For Piano. 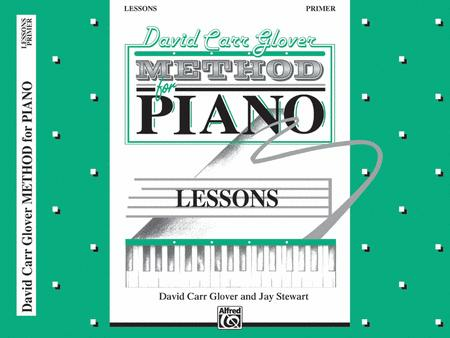 Piano - Glover Method. Book. 36 pages. Published by Alfred Publishing. By E. L. Lancaster And Gayle Kowalchyk. David Carr Glover. For Piano. Piano - Glover Method. Book. 52 pages. Published by Alfred Publishing. By David Carr Glover and Jay Stewart. For Piano. Piano method/supplement. Level: Early Elementary, Level 4. Book. 40 pages. Published by Alfred Publishing. By David Carr Glover and Jay Stewart. For Piano. Piano method/supplement. Level: Early Elementary, Level 3. Book. 40 pages. Published by Alfred Publishing. By David Carr Glover and Jay Stewart. For Piano. Piano method/supplement. Level: Early Elementary, Primer Level. Book. 32 pages. Published by Alfred Publishing. By E. L. Lancaster and Gayle Kowalchyk. David Carr Glover. For Piano. Piano method/supplement. Level: Early Elementary, Level 3. Book. 52 pages. Published by Alfred Publishing. Arranged by Jay Stewart. For Piano. Piano - Glover Method. Book. 24 pages. Published by Alfred Publishing. By David Carr Glover. For Piano. Piano Solo. Belwin Banner Series. Level: Intermediate (grade IV). Sheet. 6 pages. Published by Alfred Publishing. By David Carr Glover. For Piano. Piano - Glover Library. David Carr Glover Adult Library. Book. 96 pages. Published by Alfred Publishing.